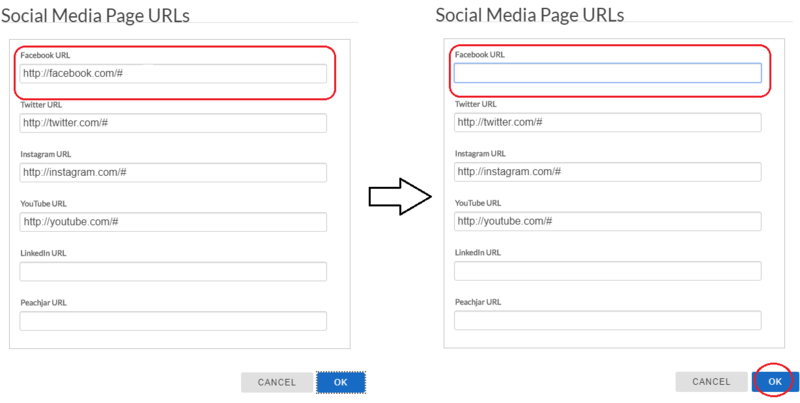 The following steps guide the user in removing social media icons on a page. 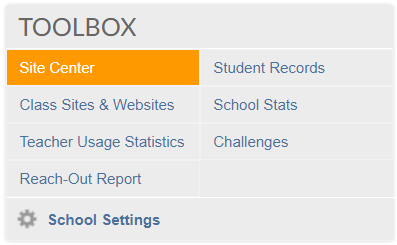 In the Toolbox section, click Site Center (district admins may access all Site Centers from the Admin Center). Highlight the homepage in the site map and click the Edit button. Click the Header and Footer option on the left of the page. Click the Social Media module to select it. In the pop-up window, delete the URL for any icon you wish to remove. In this example, delete the URL "http://facebook.com/#" to remove Facebook. Note: If you do not see the pop-up window, click the Social Media Page URLs link in the toolbar as pictured above. The social media icon (e. g. Facebook) that has been removed is no longer visible on the page.